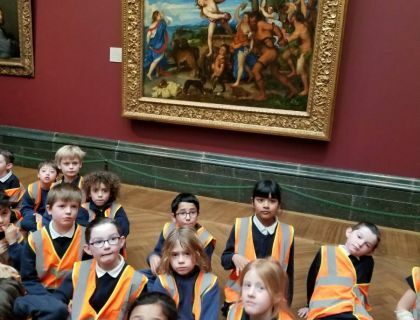 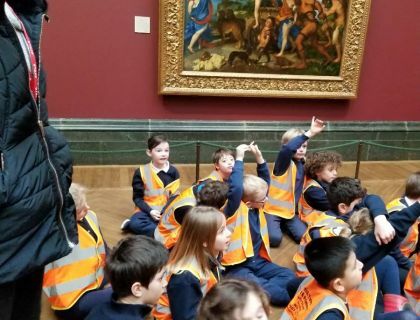 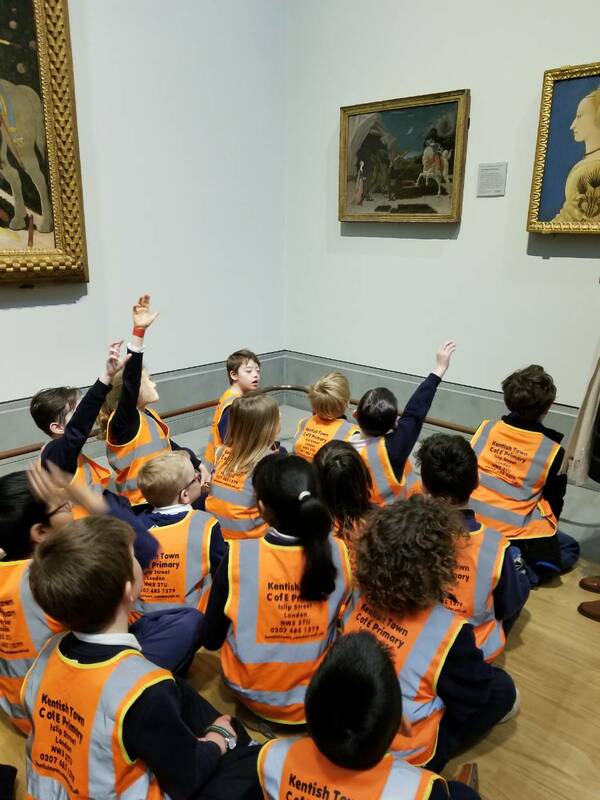 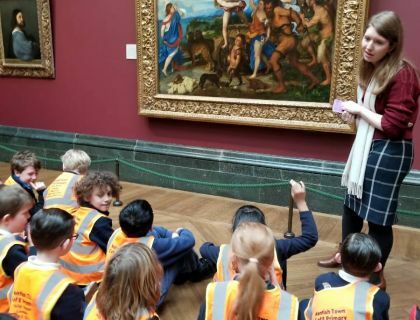 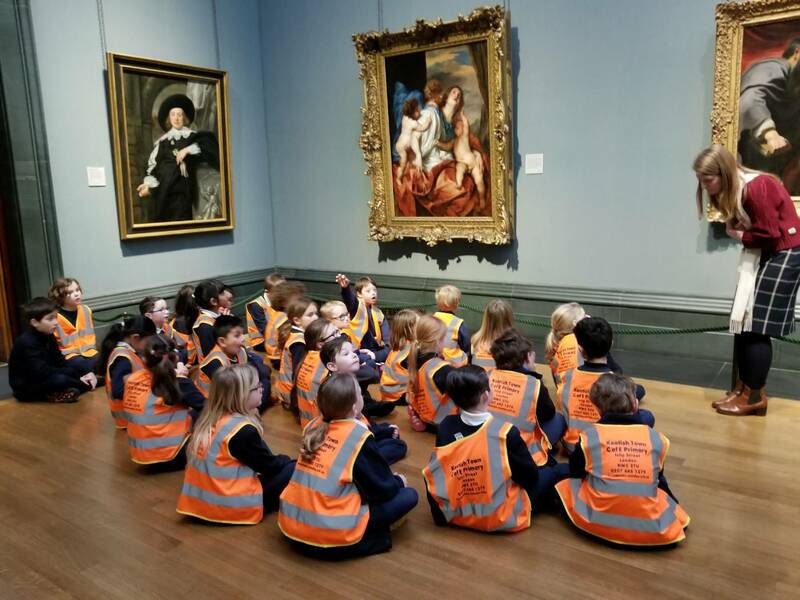 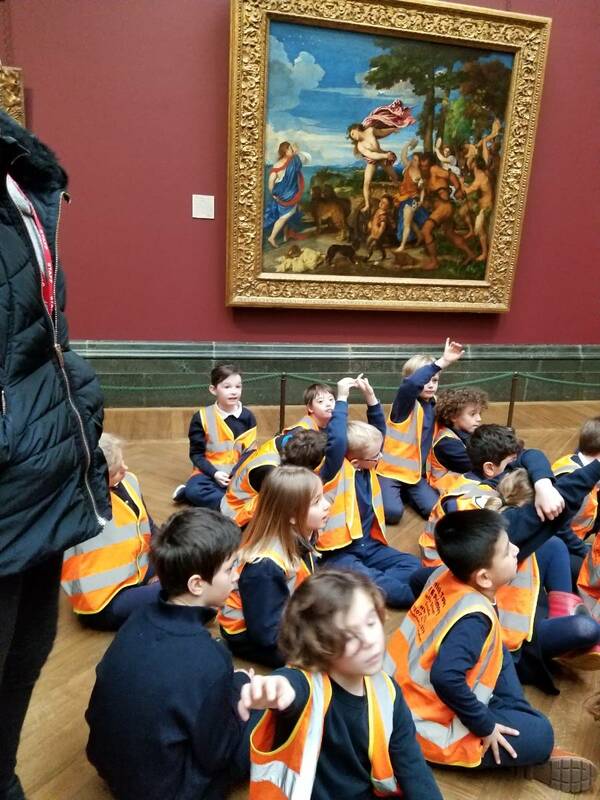 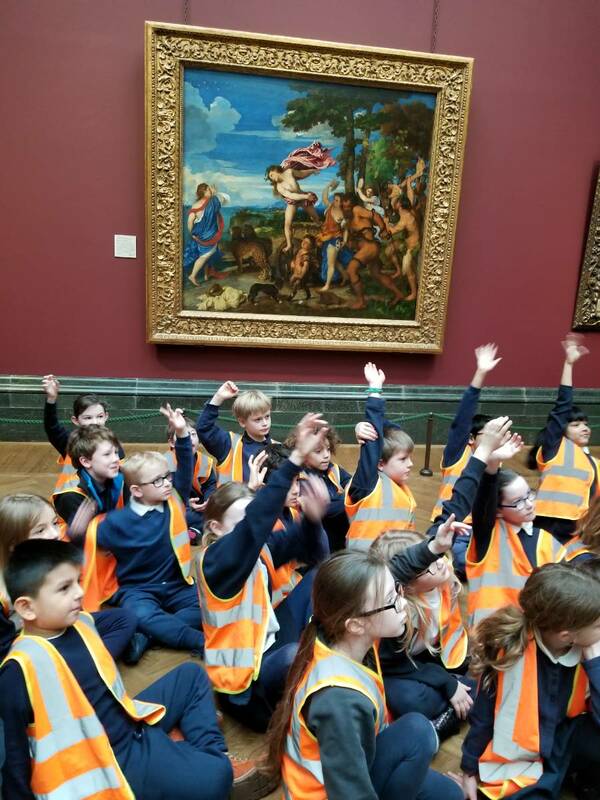 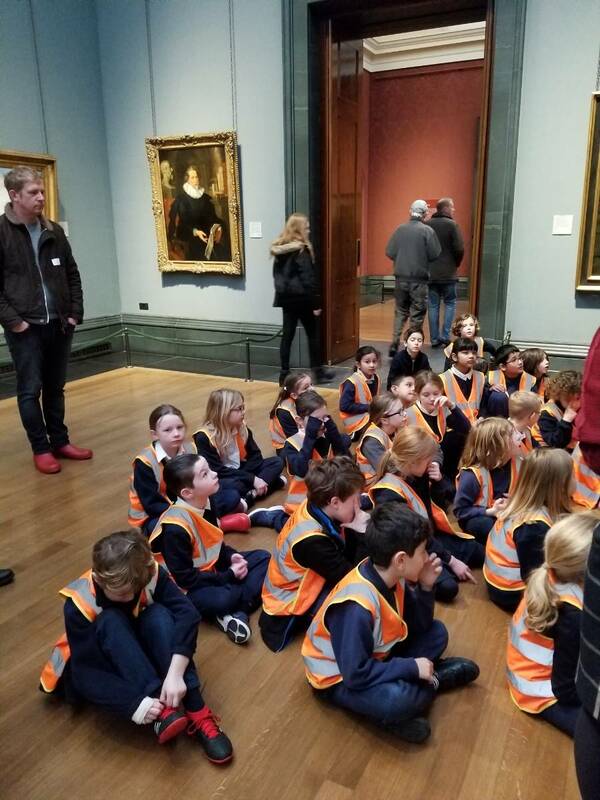 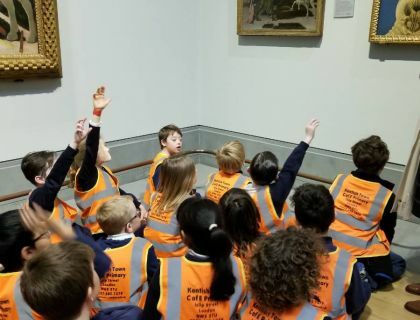 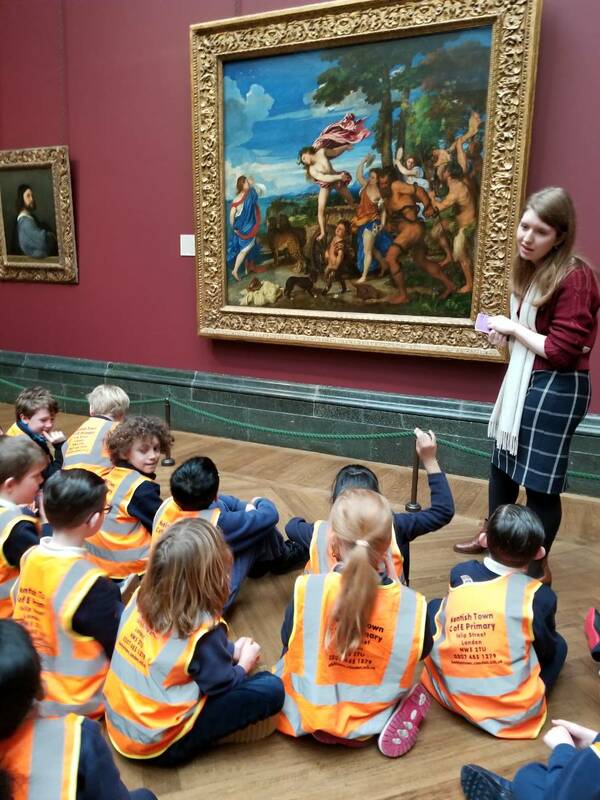 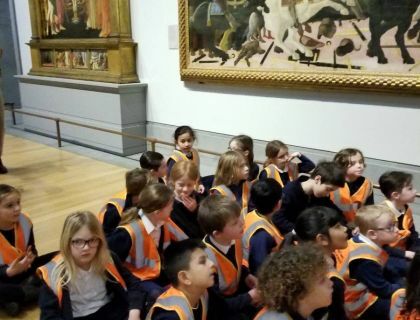 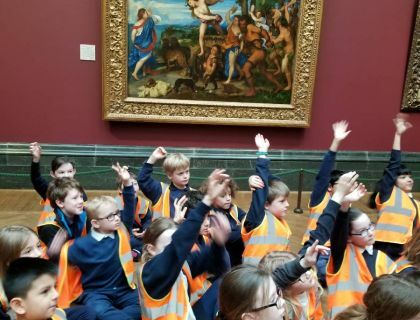 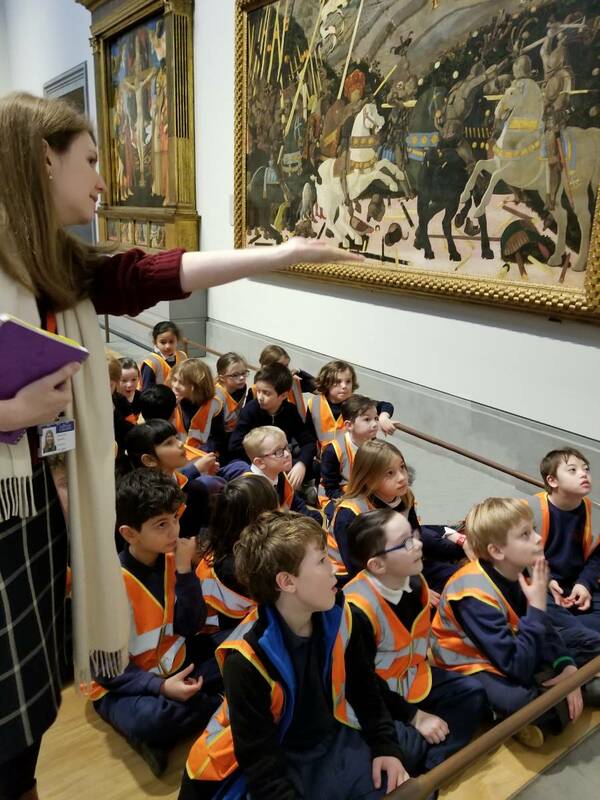 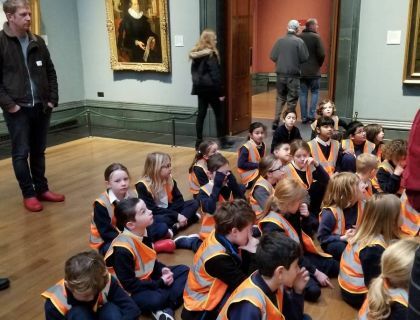 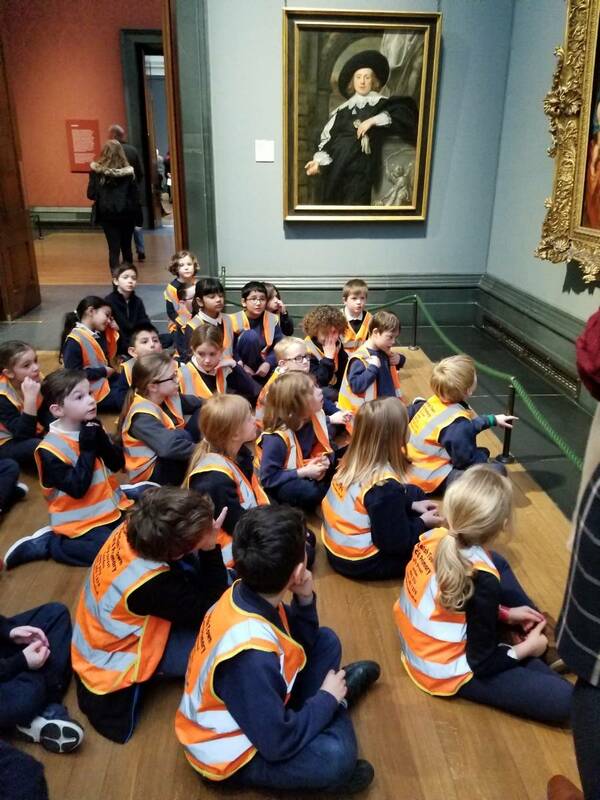 Cedar has visited the National Gallery to learn through famous paintings! 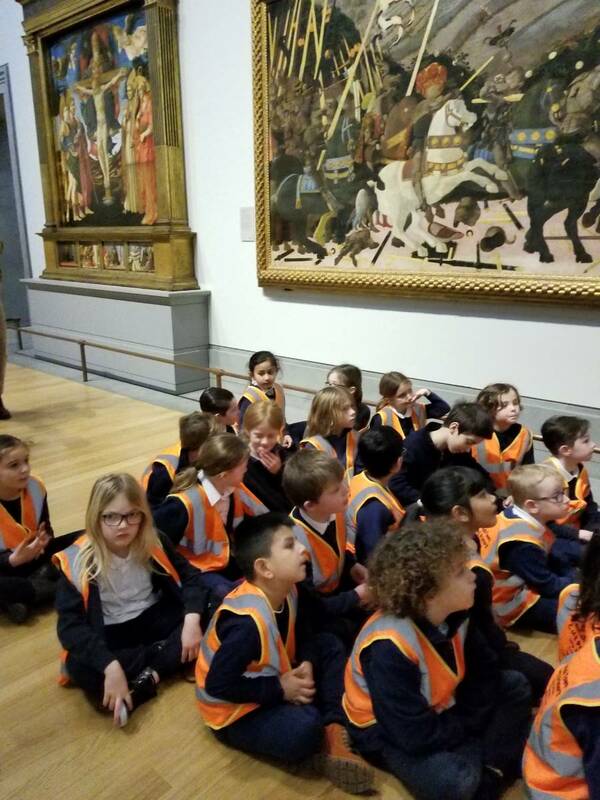 We discovered what myths and legends are all about through a painting of St. George and the Dragon. 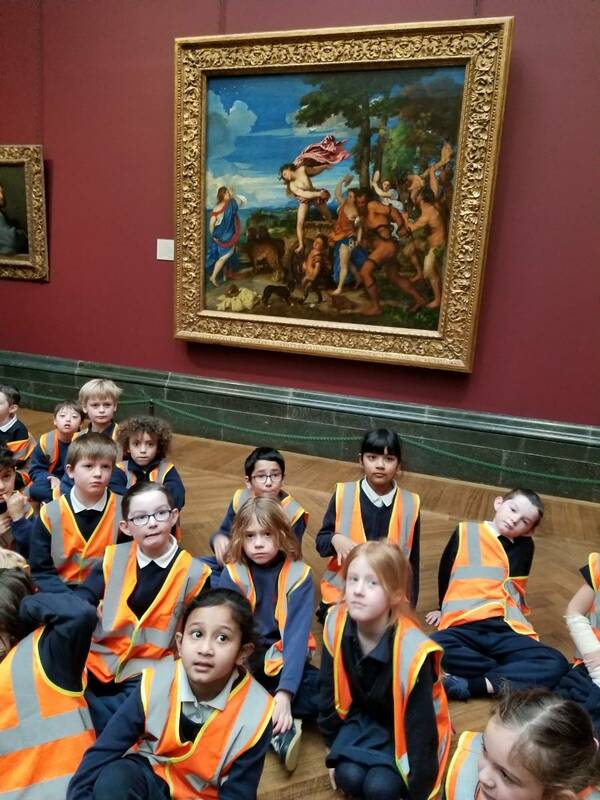 Then we examined a painting which shows the Greek myth of Ariadne and Dionysis. 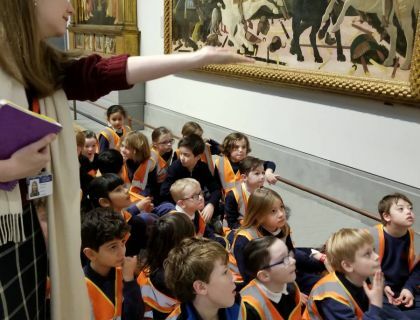 We were already familiar with Ariadne from the myth of the Minotaur and it was interesting to find out her fate— changed into a god by Dionysus the god of parties and wine! 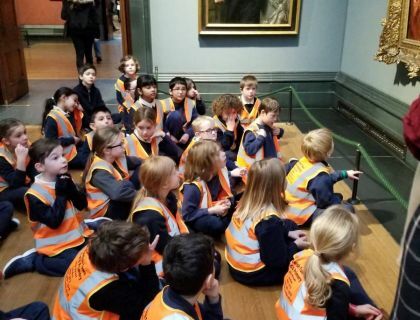 We accessed our right to find information (Article 13) and our right to learn (Article 28).